This entry was posted on July 31, 2018 by Don Roberto. Many owners of gold jewelry wonder the best ways to keep it clean and looking at it’s best. Of course, there are many methods described online. 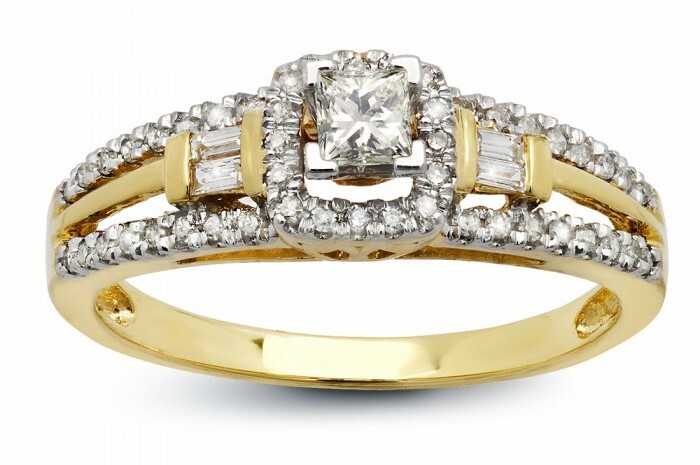 Some of them may be used as quick solutions, however, Don Roberto Jewelers have their own suggested methods that will maintain your gold jewelry better. If you have fine jewelry we always suggest buying professional cleaning product. 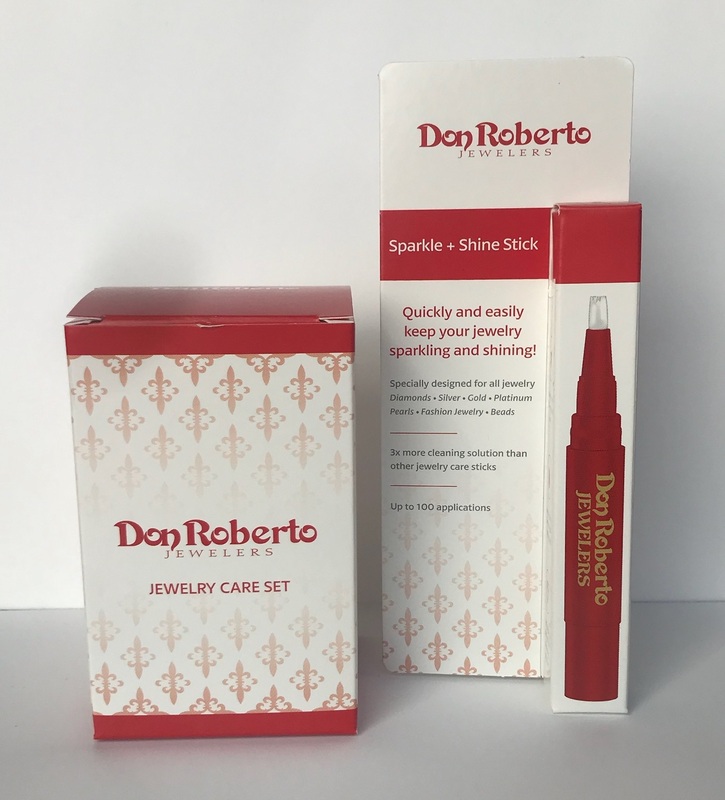 Don Roberto Jewelers do offer these kits instore, which are very affordable. How often should you clean gold jewelry? Our rule of thumb to cleaning your jewelry is once a week minimum. Especially for any daily wear jewelry, once-a-day is recommended to keep your ring clean and heirloom quality for the long haul. If you have beautiful diamond rings, it's better to keep up the good habit since diamonds can absorb oil and won't sparkle as much without upkeep. Using our simple Jewelry care set, you can clean rings daily, for 2 minutes while you brush your teeth, then towel them dry with a soft cleaning cloth. Be wary of some normal cleaning products as they may be too abrasive and may scratch and affect the gold and diamond jewelry. Do apply your lotions, perfumes, hair products, and cosmetics before wearing jewelry. Do wide clean each jewelry piece with a soft cloth to remove oils and sweat. Do keep stored in a fabric-lined box or individually wrapped to prevent scratches. Don’t wear jewelry while housekeeping, gardening, or exercising. Don’t expose your jewelry to house cleaning products. Don’t wear your jewelry in chlorine pools and hot tubs. If you follow this simple gold jewelry cleaning guide and make sure to do regular maintenance, you will find that your gold jewelry will keep its sparkle and luster for many years. When you visit any Don Roberto Jewelers Store, we offer a complimentary cleaning service for you. You can see how our cleaning kits work, and sample the results for yourself.